There are literally dozens of tax forms that you can file with the Internal Revenue Service (IRS). When preparing your taxes on your own, you may find that the wide variety of forms makes it difficult to determine which one you need to use. The IRS provides a list of the most commonly used tax forms. Several of these forms are intended for taxpayers who are not employers or corporations. 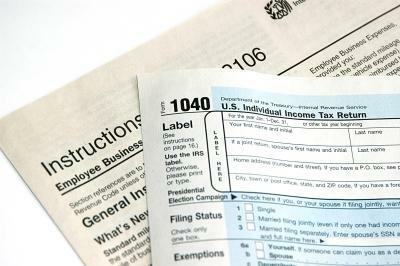 Form 1040 is the long form that taxpayers claiming itemized deductions on a Schedule A form to accompany their 1040 must complete. It also applies to individuals claiming rental or self-employment income or capital gains. Form 1040A is the shorter version of the form that is to be filed by taxpayers whose only sources of income include wages, unemployment, retirement plan distributions, and Social Security benefits. The form cannot be used if the taxpayer is itemizing deductions or claiming to have received 1099-MISC income or K-1 income from a partnership or S-corporation. Form 1040EZ is the shortest version of the form that can be filed by single taxpayers or married taxpayers filing a joint return who will not claim dependents and have less than $100,000 in taxable income. Taxpayers claiming education credits, student loan interest deductions or self-employment income cannot use this form. It only allows taxpayers to claim a standard deduction. Form 1040X is used by taxpayers to amend a previously filed 1040, 1040A or 1040EZ on which they identified that they had made an error. The form must be filed within three years of the original 1040. Form 4868 is submitted to formally request a six-month extension to file a 1040 form. Note, however, that the form does not excuse the taxpayer from paying owed taxes by the due date. Therefore, this form is designed for individuals with a general idea of how much they owe and who can pay that amount but who do not have time for whatever reason to complete and submit the required tax forms. If you are a sole proprietor or receive 1099-MISC non-employee compensation, the IRS considers you to be self-employed and requires you to report your business income and expenses separately from other income items listed on your 1040 form. Schedule C is the form to report business income and expenses. Income listed on the form may include 1099-MISC income. Taxpayers may deduct eligible business expenses from business income to determine net business income, which is the amount subject to self-employment and income taxes. Schedule SE is the form for taxpayers with a net business income of more than $400. This form is used to calculate and report self-employment tax. In addition to self-employment taxes, the form can be used to pay income taxes on net self-employment income. The IRS allows two types of basic deductions: itemized or standard. Taxpayers do not need to submit additional or separate forms other than a 1040 to claim a standard deduction. Itemized Deductions (Schedule A) is filed with the 1040 by taxpayers claiming deductions that total more than the standard deduction. It is used to deduct items like mortgage interest, property taxes, charitable contributions, and medical expenses. If you have dependent children, you may be eligible to claim additional credits. These forms are filed in conjunction with a 1040. Earned Income Credit (Schedule EIC) is to be used by low- and middle-income taxpayers who are married filing jointly or single to reduce the amount of tax owed. For the 2013 tax year, income limits are $45,060 for single taxpayers with three or more children and $50,270 for married taxpayers with three or more children. Additional Child Tax Credit (Schedule 8812) is intended for taxpayers whose child tax credit is greater than the amount of tax owed. This form allows taxpayers to receive a refund of the balance. Child and Dependent Care (Form 2441) is to be used for taxpayers seeking to obtain a credit for paying someone to care for a child, spouse or other dependent so that they or their spouse could look for work. Schedule E is submitted alongside a 1040 and is intended for taxpayers claiming income from renting a residential property or those who received a K-1 statement for income earned from a partnership or S-corporation. Schedule D is used to claim income from selling assets, such as the sale of a personal residence or stocks. Some capital gains, such as income from selling a personal residence in which the taxpayer lived for three of the last five years, are not taxed but must still be reported through this form. Form 8863 is used by taxpayers seeking tax credit for education expenses paid to a post-secondary school, for example a trade college, university, or training facility. There are two types of credits that can be claimed via the form: the American Opportunity Credit and Lifetime Learning Credit. The refundable amounts, income limitations and credit amounts differ for each type of credit, as explained in the instructions for Form 8863. Form 9465 formally requests establishment of an installment agreement for tax obligations. Taxpayers file this form because they are unable to pay the full amount they owe. The taxpayer must have filed a 1040 and be unable to pay their tax obligations within 120 days. Taxpayers owing less than $50,000 may request an installment agreement online. The variety of forms available to taxpayers -and the fact that each is designed for a different credit, claim, reporting or exemption- can make which form to use a confusing decision. Review each form's instructions prior to completing and filing it to ensure that you are filing the right form. When in doubt, speak to a tax professional for advice.